There is a lot of movement in the golf industry. Many new brands popped out during the last year. 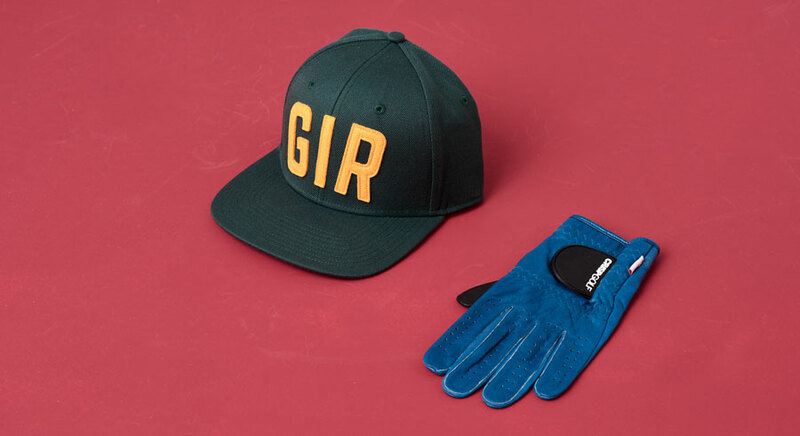 One which I noticed positive is a very fresh brand named Crispgolf.com from the Netherlands. 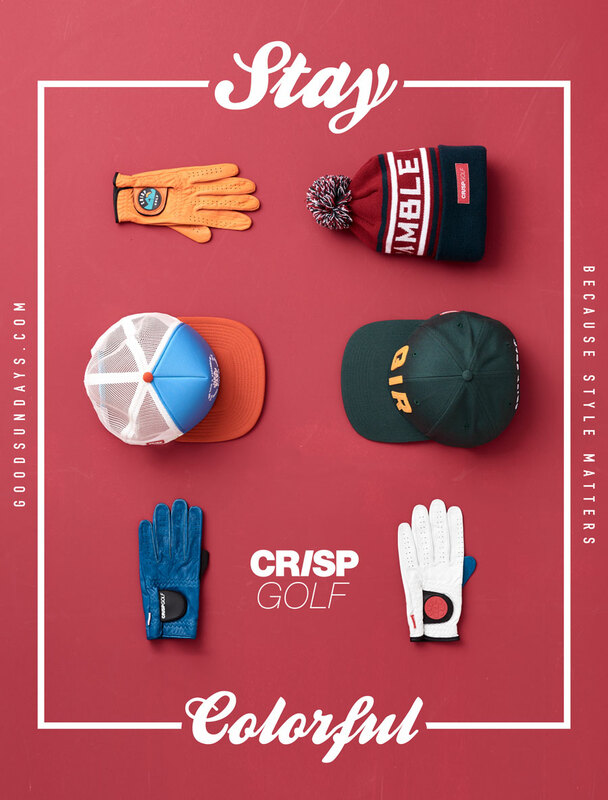 Crisp offers Caps, Beanies and Gloves in different designs and styles. What I like is the graphic design of Crispgolf.com and the good feeling for colors. I also like the idea of playing around with terms of golf like GIR or 1up. I was very lucky to get the opportunity to have a little chat with Quincy James the founder and men behind Crispgolf.com. – What is your motivation and why Crispgolf ? My creativity is one of my biggest strengths so it’s no surprise that I ended up working in the advertising industry. I started my career as a graphic designer but quickly realised I wanted to utilise my creativity in a broader sense. The next step was Art direction but, although this job allowed me to be more conceptually and strategically involved, I still didn’t feel I was anywhere near harvesting my full creative potential. As an Experience Designer I’ve always been interested in crafting/designing the full 360-degree user experience and believe that this is what’s needed to thrive in today’s highly crowded and competitive marketplace. About 2 years ago I decided that I was going to start my own brand/business. Now being the avid golfer that I am meant that I ‘d already been following the golf industry closely for quite some time. It didn’t take me long to see it posed great opportunity. A huge marketplace evolving so fast that the industry can hardly keep up was at the very least worth looking into and so I did. I started looking and talking to people that knew more than I did and the outcome confirmed my assumption that there was definitely a void to be filled and that it posed sufficient business opportunity. This insight combined with my great passion for the game ultimately made me decide that I was gonna to start a fresh new ‘forward-thinking’ golf apparel brand from scratch. – Has Crisp any special meaning ? The reason we’re called Crisp Golf is simple; It only ever took one ‘CRISP’ iron shot to fall deeply in love with the greatest game ever played! Nothing beats the feel and sound of a ‘CRISP’ iron shot. – Is Crisp only about accessories ? 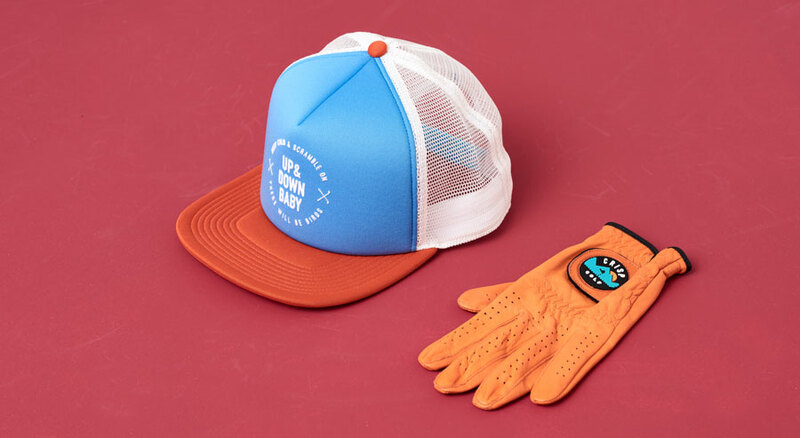 Crisp Golf aims to gradually become a full-on golf apparel brand but chose to focus on accessories first. Headwear being the first product line, Premium quality cabretta leather golf gloves are next will be available for pre-order very soon! 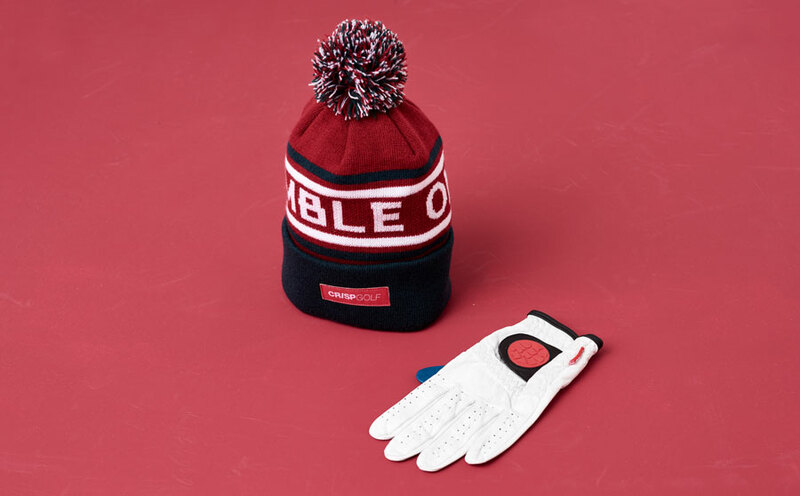 Polos, tees, sweaters, socks, driver and putter covers are also in the works and will hopefully be added to the mix at the start of the next golf season. – What can we expect about Crispgolf.com in the future? Expect the unexpected ;) Crisp Golf is a storytelling brand and we aim to establish a deep and meaningful connection with our customers by leveraging their collective strong emotional investment in the game. Unlike most of our competitors we’re not merely focused on features, benefits and facts and figures. We’re a design driven company and that means that we always put the consumer experience in the center and work outwards from there. Everything we do will be driven by what our customers see, experience and value. This is what will drive our development, marketing, sales, even manufacturing and distribution. We believe that great products are always about ideas. They’re not just objects. Here lies our biggest strength and this is how we intend to outperform our competitors on every level. In much simpler words: We aim to become the Rapha (rapha.cc) of golf. I’m really excited to see what’s coming up next from Crispgolf.com. Stay colorful in style.